They say bullies act a certain ways because of huge inferiority issues. 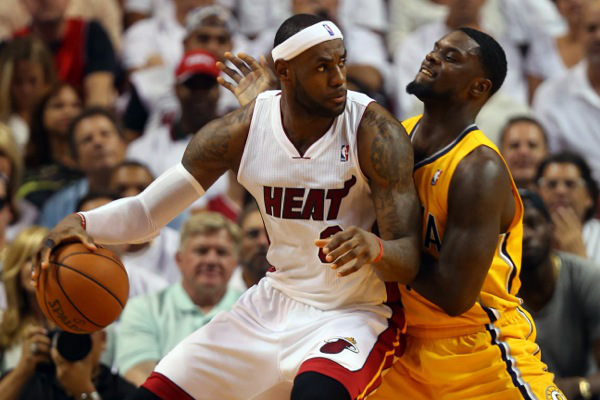 Trash talkers might do the same in order to hide certain weaknesses of their own, which is exactly why LeBron James shouldn’t pay no mind to Lance Stephenson trying to use cheap tricks in a series between the Indiana Pacers and the Miami Heat. The series is going Miami’s way, even if LeBron James isn’t exploding, averaging “only” 24.3 points, 7.3 rebounds and 6 assists in the series. Lance Stephenson is doing quite well himself, averaging 17.3 points, 7 rebounds and 6.7 assists. However, his 10 points performance in the game 3 loss, as he barely did anything positive for his team during the second half, stands out more than his previous good performances. 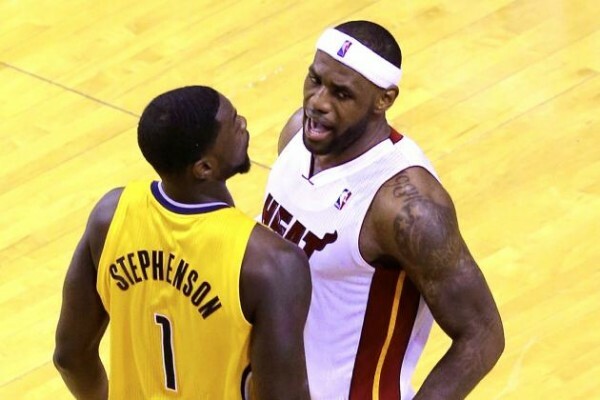 According to Stephenson, he has been able to get underneath James’ skin. James reacting to Stephenson as the two were having a shouting match early in game 3 is a sign for Stephenson that he is doing something right, and is exposing a weakness in James. Obviously, James doesn’t see it that way. It’s about the series, the rivalry between the teams. Getting into shouting matches and cross-media trash talking and insulting isn’t going to help the Heat one bit. If trash talking actually has any effect on these teams, it clearly hasn’t worked in the Pacers favor over the last couple of seasons, trying to overcome certain deficiencies they have when facing the Heat by talking the bigger talk through the press, which hasn’t helped them overcome their one big obstacle in the Eastern conference. Charles Barkely suggested that Stephenson just keep quiet. He talked before the series about blowing by Dwyane Wade and destroying his knees in the process? The result? Wade has looked better than he has all season, usually taking over in the fourth quarter and clearly outplaying Stephenson on both ends of the floor, including in the times when the two are guarding each other. The Pacers see the Heat as something of a big brother they don’t like and it’s time for them to beat. I’m not sure how the Heat view the Pacers, but it’s not in too many favorable terms, and there’s clearly no reason to get dragged into these war of words, which can only take away from the focus that the Heat do need to win two more games out of the next four (if it does go that long) in order to make it into a fourth consecutive NBA finals series. Lance Stephenson is a good player on a team that’s currently struggling finishing games. LeBron James is a great, legendary-level player that is playing on a team that has its problems, but seems to know a lot better what to do when push comes to shove. Stephenson needs anything to give him some sort of edge because he isn’t a good enough player to bridge the gap between the two. James? He simply needs to keep on playing, which should be enough of a talking point for him and his team.